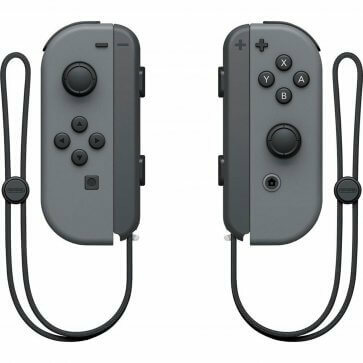 Designed exclusively for use with the Nintendo Switch console, the Nintendo Switch Joy-Con (L/R) Controllers in Gray deliver a unique gaming experience. With various ways to play, both the L and R controllers feature a full set of buttons, accelerometer and gyro-sensor, allowing independent use as stand-alone controllers. Hold the Joy-Con controllers in both hands or pass one to a friend. 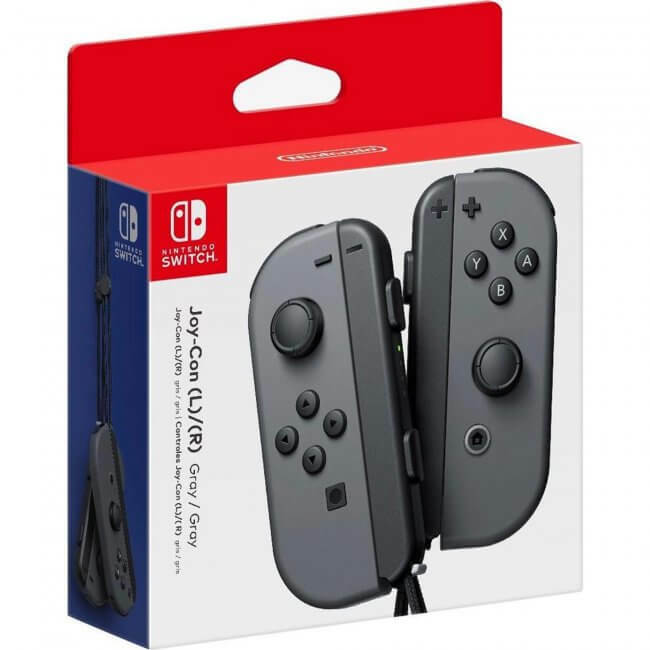 You can also attach both Joy-Con to a grip accessory for use as a traditional controller, or secure the L and R controllers to either side of the main console during handheld mode (grip accessory and main console sold separately).